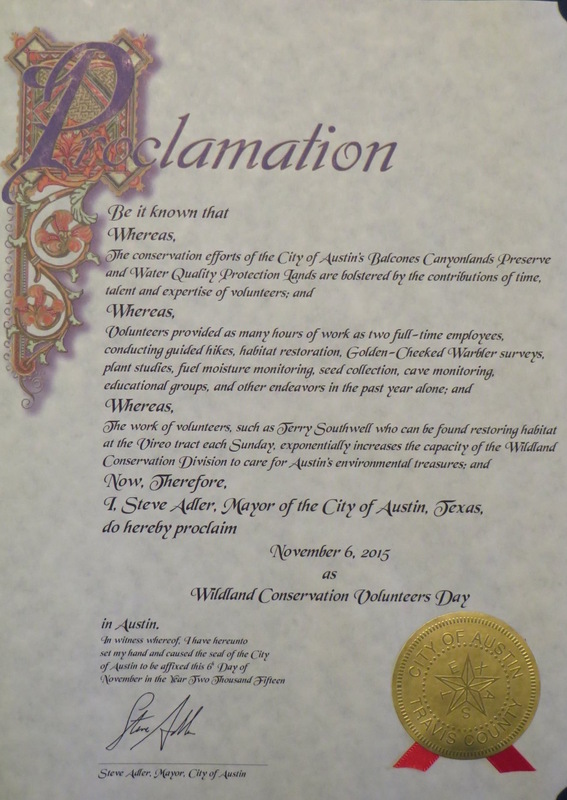 On Friday, November 6, City of Austin Mayor Steve Adler proclaimed the day Wildland Conservation Volunteer Day, and presented CAMN member Terry Southwell with the proclamation. 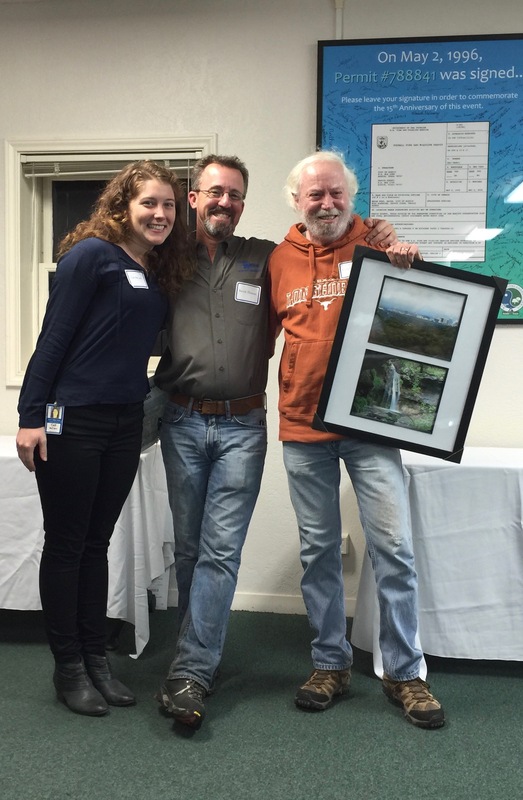 On Saturday, Terry was recognized as Austin Water‘s Wildland Conservation Division Volunteer of the Year for his regular contributions to habitat restoration, stewardship and outreach on the Balcones Canyonlands Preserves (BCP) and Water Quality Protection Land (WQPL) preserves. We are proud of Terry and his contributions both to the city and to the Texas Master Naturalist Program. Terry Southwell recognized as the 2015 Volunteer of the Year for Austin Water’s Wildland Conservation Division. Interim Director Kevin Thuesen and Volunteer Coordinator Cait McCann share in the appreciation here.